Lelouch of the Rebellion Wallpaper: Come Again?? Minitokyo »	Lelouch of the Rebellion Wallpapers » Lelouch of the Rebellion Wallpaper: Come Again?? 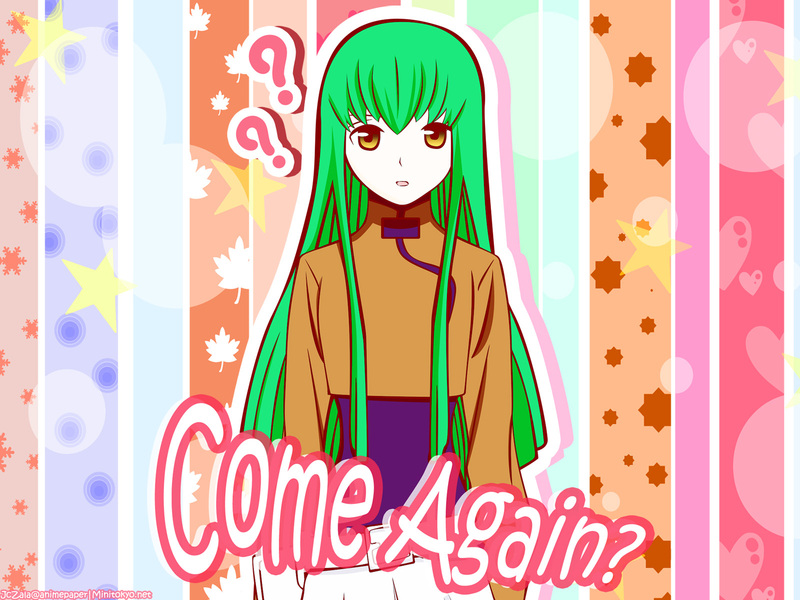 I couldn't resist when I saw C.C. in the manga and decided to color it. Since she sort of had a blank expression on, I decided to make the background very colorful. It's my specialty to make such colorful backgrounds so I had fun doing it. C.C. is so cute here. Heh heh.... really cool. Well done! It looks like someone just did something really weird and she's thinking WTF?!? which image U used for her vector?